Want Internet speed? Go somewhere else. Sure. Free markets my ampersand . . . Along with John Stewart, the venerable parody publication The Onion knows how to get right into the rotten, bankrupt heart of some stories – as they’ve done in this case, pointing to the real horror of yet another gun massacre. WASHINGTON—Americans across the nation confirmed today that, unfortunately, due to their extreme familiarity with the type of tragedy that occurred in a Colorado movie theater last night, they sadly know exactly how the events following the horrific shooting of 12 people will unfold. While admitting they “absolutely hate” the fact they have this knowledge, the nation’s 300 million citizens told reporters they can pinpoint down to the hour when the first candlelight vigil will be held, roughly how many people will attend, how many times the county sheriff will address the media in the coming weeks, and when the town-wide memorial service will be held. “I hate to say it, but we as Americans are basically experts at this kind of thing by now,” said 45-year-old market analyst Jared Gerson, adding that the number of media images of Aurora, CO citizens crying and looking shocked is “pretty much right in line with where it usually is at this point.” “The calls not to politicize the tragedy should be starting in an hour, but by 1:30 p.m. tomorrow the issue will have been politicized. Also, I wouldn’t be surprised if the shooter’s high school classmate is interviewed within 45 minutes. 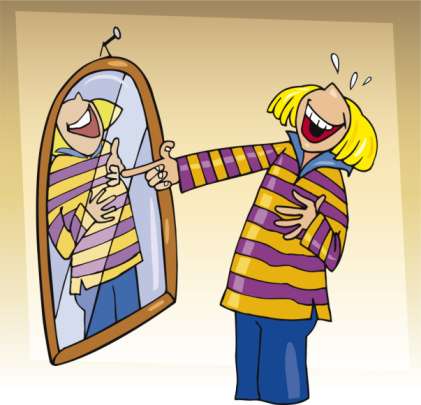 . . .
. . . “Oh, and here’s another thing I hate I know,” Brennen continued, “In exactly two weeks this will all be over and it will be like it never happened. “While the events of last night are truly tragic, I sincerely hope that no one at any point forgets how truly terrific guns are, and how they enrich all of our lives on a regular basis,” said NRA executive vice president Wayne LaPierre, adding that the nation’s citizens must open up their hearts in this time of mourning and realize how simply unlivable a life without gun ownership would be. 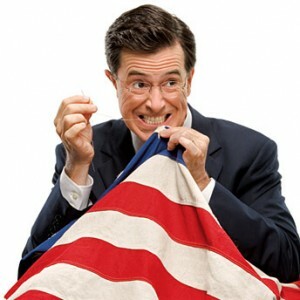 Colbert Report won a Peabody! The show got the award for its series of Super PAC segments. Good for them. 4. The Surprisingly Lucid Narcoleptic. “ZZZZZZZZZ” is the classic. “SNORE” and “YAWN” are acceptable variants. Thanks to aFrankAngle for this gem. He dropped it in comments on the last post. Does something sinister this way come? Cute kittehs. Yeah, yeah, yeah, cute kittehs everywhere. And they pretend they’re the ones being pushed around by the big bad humans, but I ask you – who’s really in charge here? Mike Tyson? Mike Tyson? Criminey, the guy is good! Unanimous? I can’t get three friends to agree on a restaurant. Can you imagine how hard it would be if none of us spoke the same language and our grandparents killed each other in World War II? These guys are basically a performance troupe. (The videos come from Herbunk, who makes lots of cool stuff.) By the way, I’ ve seen The Steps on stage; they’re a hoot and not a bit partisan – it’s equal opportunity mockery for them. Alec Baldwin? How much pain can Perry handle? If you missed the Sunday shows or give a damn . . . The July 24 Bobblespeak Translations are up! Enjoy. So how many abortions can you do for $8,000,000,000.00? 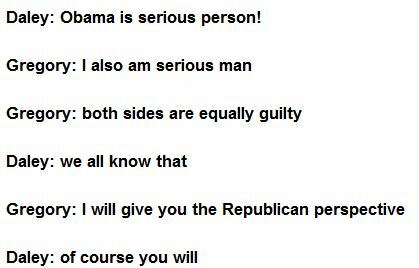 Glenn Beck’s blog, The Blaze, saw this story and found journalistic merit therein. And of course they got all kerfuffle. 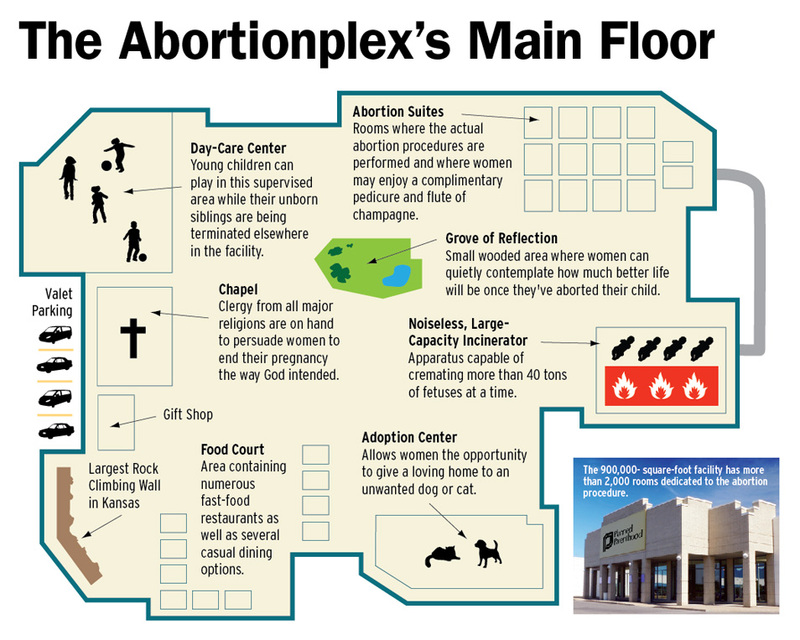 The Onion: Planned Parenthood Opens $8 Billion Abortionplex (in Kansas). When but on Sunday do you have the time to watch this?